Love stories is loved by all and more than that we love dogs, don’t we? So as it turns out this one is a mix of both. Let me introduce you to a couple, Rebecca Hernandez and Frankie, who shook the internet by their love story. Rebecca Hernandez married her high school lover, Frankie, in 2012. 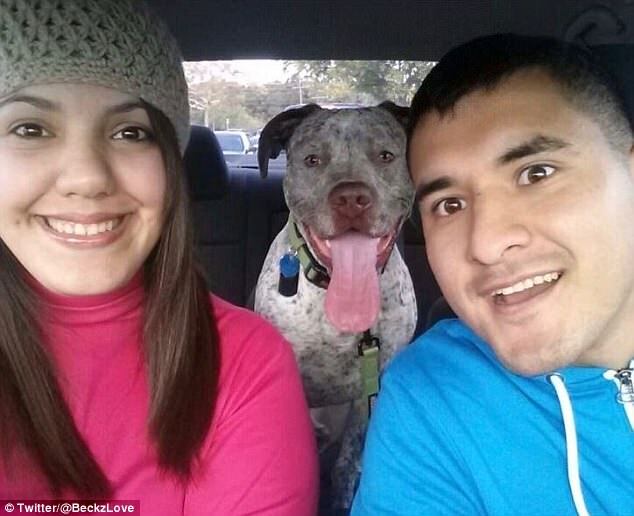 The couple then adopted a dog and named him “Apollo”. Apollo was a destroyer. He destroyed everything that he came across with and always did what he wanted to do. On the other hand, Apollo was also a loving pet and a caring dog, just like every other dog. He was spoilt by everyone. Unfortunately, the couple broke up two years later. Frankie left, and the dog stayed with Rebecca. But even after their breakup, their love didn’t die. 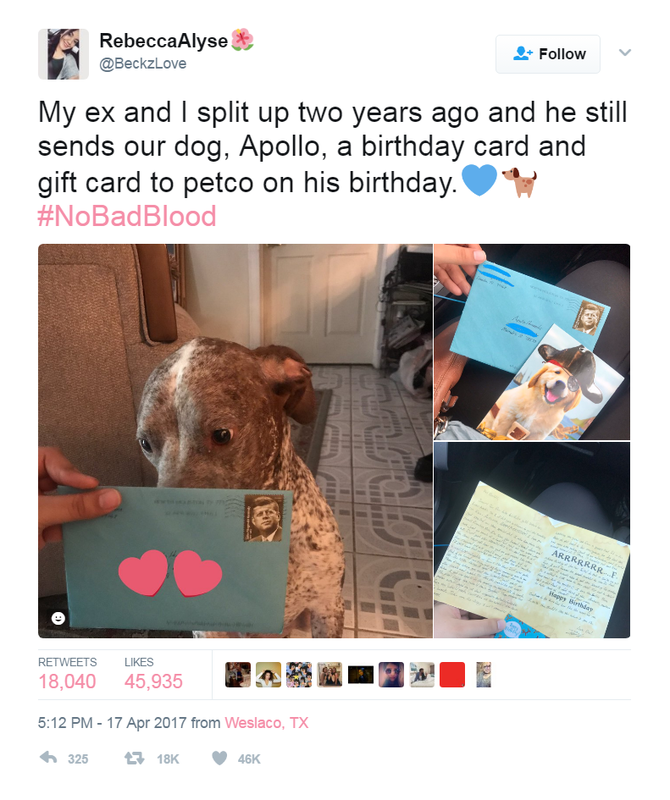 It was really surprising to see that, Frankie, the ex-husband, still used to send gifts and birthday cards to their pet dog, Apollo, on his birthday. Another sign of love depicted by Frankie was his latest letter, in which he told their dog to stay with Rebecca the same way it used to stay with him. He wrote, “continue to be there for her like you were for me.” I don’t think anything can be cuter than this. “Get back with them man please but when the time is right. Who would not melt after such lovely response? Seeing the internet response, the couple was overwhelmed and decided to not stay separate any longer. The couple patched up and now they are living happily and that’s how a love story ended contentedly.